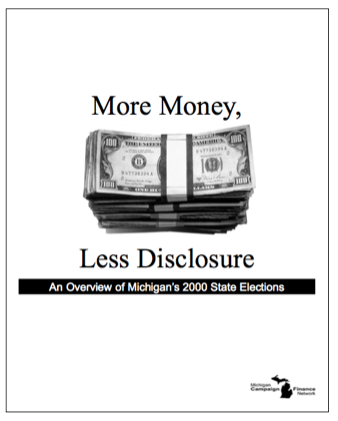 This document provides an overview of money in the 2000 state elections in Michigan. In the most competitive contests for the Michigan House of Representatives in 2000, the parties’ independent expenditures and unlimited caucus campaign committee expenditures overwhelmed all other contributions. To read more about who spent what in the 2000 Michigan elections, download this PDF.